It should not be restricted. 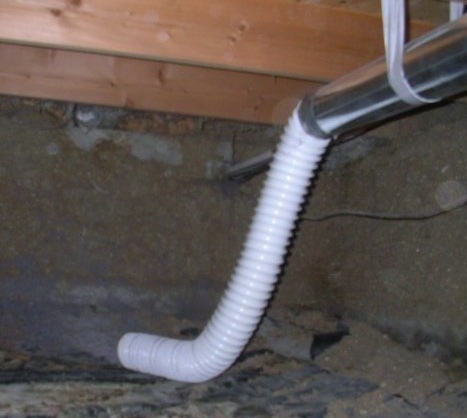 Dryer vents are often made from flexible plastic or metal duct, which may be easily kinked or crushed where they exit the dryer and enter the wall or floor. This is often a problem since dryers tend to be tucked away into small areas with little room to work. Vent elbows are available which is designed to turn 90° in a limited space without restricting the flow of exhaust air. Restrictions should be noted in the inspector’s report. 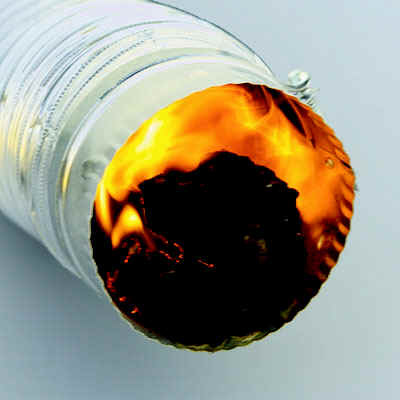 Airflow restrictions are a potential fire hazard. In general, an inspector will not know specific manufacturer’s recommendations or local applicable codes and will not be able to confirm the dryer vent’s compliance to them, but will be able to point out issues that may need to be corrected.